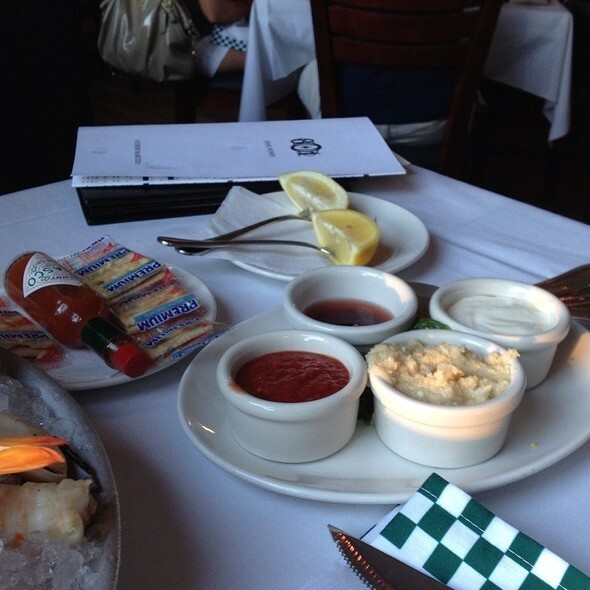 You must make reservations at least 5 minutes in advance of the time at 801 Chophouse Leawood. Dinner: Monday - Thursday: 4:00pm - 10:00pm, Friday - Saturday: 4:00pm - 11:00pm, Sunday: 4:00pm - 9:00pm. Offering diners USDA grade Prime beef, jet fresh sea food, complemented by a Wine Spectator Awarded (Best of Award of Excellence) wine list, 801 Chophouse Leawood is an ideal spot for your next private event. We have several private and semi-private spaces perfect your next celebration, get-together, or corporate event. A late 1920's New York City steak house interior with signature leather booths,cherry wood furnishings, wooden floors, granite counter tops and high ceilingsaccented with dramatic lighting. 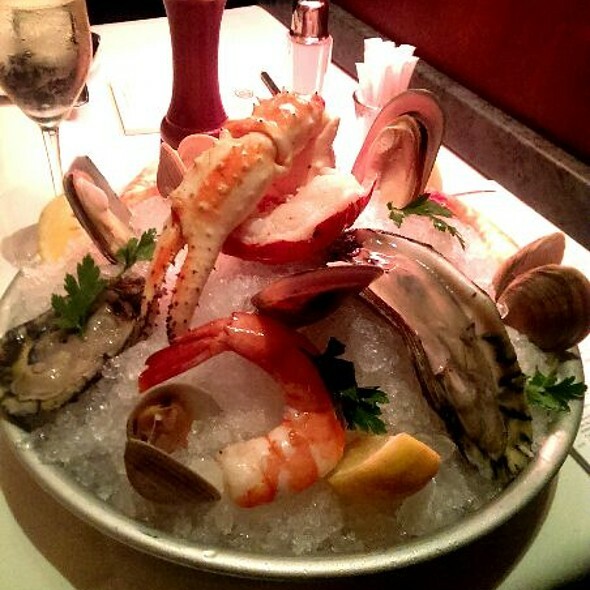 801 Chophouse offers only the very finest and freshest meats, seafood, andvegetables available. unique weekly offerings. 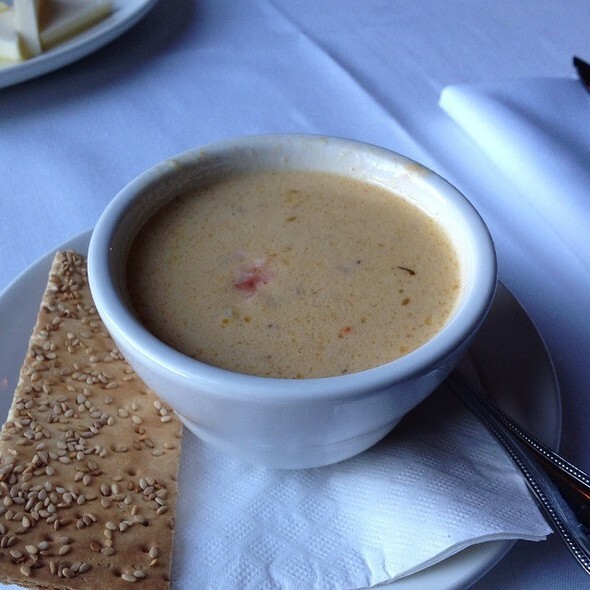 Seasonal fresh soups and salads, oysters on the half shell, five species of fresh fish, live Maine lobsters and king crab legs. 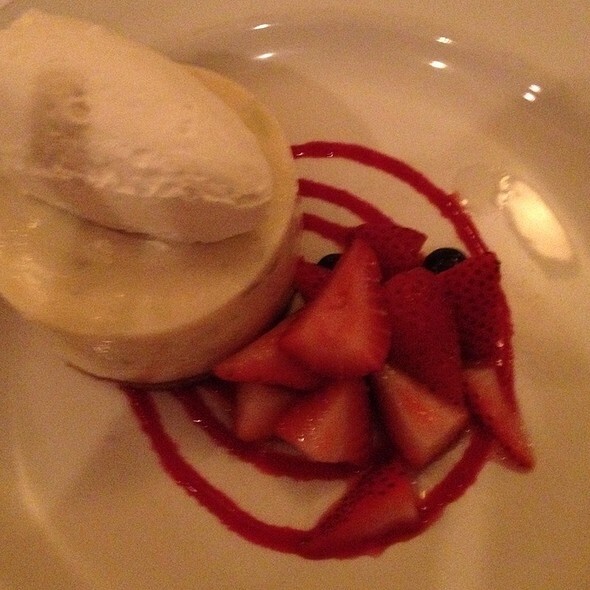 Make sure to save room for our made from scratch Grand Marnier Soufflé! Aged USDA Grade Prime Beef ONLY, Iowa Berkshire pork chops and Colorado lamb chops. Customizing parties from 6 to 40, our walls reconfigure for the perfect amount of space, our tables change for seating and conversation, and our custom menus range from cocktails and hors d'oeuvres to full course dining. Everything was amazing!!! Our Server Brian made the night special. We will be back!!!! Extremely overpriced. Comparable or better food available in the vicinity for a better value. Always great food and amazing service by knowledgeable waitstaff. Delicious food and great service. The prime rib was one of the most tender I've had. 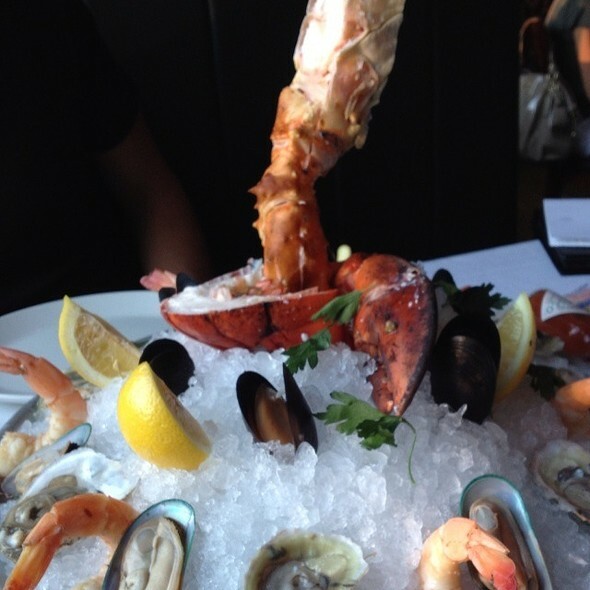 We had heard many great things about 801 Chophouse and they were all right. We really enjoyed the entire evening, across the board. Ryan was an excellent wait person, the food was excellent. We'll be back. Absolutely and consistently awesome. Wait staff took the time to explain everything and offered suggestions, which were delightful. We especially like how they take the time to interact personally with their customers. We have a particular waitress we like and they make sure we get her everytime. That is such a special and caring staff. We were totally disappointed in ml the food and service. I had the medallions which I did order medium well, however they way overcooked and very dry and tough, worst piece of meat(s) I've ever had. The asparagus was cold. It did take awhile to get our food and drink. My husband had the lobster tail which he did say was ok, nothing special and he had a baked potato with the works which was undercooked. None of this was at fault of our waiter who I felt like did a good job. I did share with him that my medallions were overcooked which he offered to have them re-cooked which I refused as I've heard to many bad stories about having ones food re-cooked. The manager did come by and gave me a free desert which was nice. Sorry to say but we both were extremely disappointed after looking so forward to going. Counting tip we spent approximately $180 which to me is a lot of money and the food and experience were very poor. Sorry to say, but neither one of us would go back. Greetings, We are so sorry that you had this experience here. This is not how we like to do business. We would love to refund your meal completely as we believe you should not have to pay anything if you had this type of experience. If you paid with a credit card we will locate it and refund you in 2-3 business days. We would also like to invite you back for a dinner on us but, if you choose not to that is understandable. Again, we apologize for this experience. I have some severe food intolerance that manifests as IBS symptoms. If you don't know how difficult life is with this, just Google "low fodmap diet". Our waiter at 801 was very accommodating, understanding, and willing to do whatever was needed to ensure my wife and I would have a good meal. I had a kc strip, my wife had the lobster, and all of the food was outstanding! We will definitely be going back again. We went for our anniversary and the staff really went above and beyond to make us feel special! They had a personalized Menu for us and heart shaped confetti on the table. Everyone was super helpful and took really great care of us. The food was exquisite and cooked to perfection! First class dining experience. Great food selections, service and ambience. My wife and I loved the food. Fantastic! Food was excellent, Service was great! Our Server Ryan was both knowlegable and personable. Pricey, but great value considering the quality compared to other nice steak places. Always delicious and the service is amazing. One of our favorite restaurants! It was a great business dinner and Rob did a great job servicing the table. Thank you and I will be making reservations again. Yes, I would recommend, but I would also tell them that they would have a better experience and better food at the downtown KC location. We ordered the same steaks here as we have at the KC location , filet minion, hers well done, his medium well, but wanted neither burnt on the outside. At the KC location our steaks were perfectly cooked. At Leawood both were burnt on the outside, and his was more medium than medium well (bleeding). The fries were over cooked as well, the Brussel sprouts were tough and inedible. We were seated next to the entrance to a private area, unfortunately those attending that function decided to hover outside the door rudely carrying on loud conversations right at our table. The presence of other people hovering over your meal while eating is of course less than desirable. We had a fun table for four in the bar. Our server is wonderful. the onion rings were unexpectedly excellent. The temperatures on the meat were off however. That is surprising because that should be a star of the show at 801. I would only recommend to a friend letting them know that drinks are very expensive. The cheapest Chardonnay by the glass was $17. I don't mind paying $17 for a glass of Chardonnay if it is worth $17. The Chardonnay was Sonoma Cutrer that I can buy at Costco for $19 a bottle. Food was good not great but good. We probably won't be back. It was wonderful. They had the table set beautifully for our special anniversary dinner. The food was fantastic. I had the mixed berry salad and lamb chops. My husband had the chop salad and filet. Our first visit to 801 Chophouse Leawood and it won't be our last! We had an excellent waiter, Frank, who gave us suggestions which we took and were not disappointed. 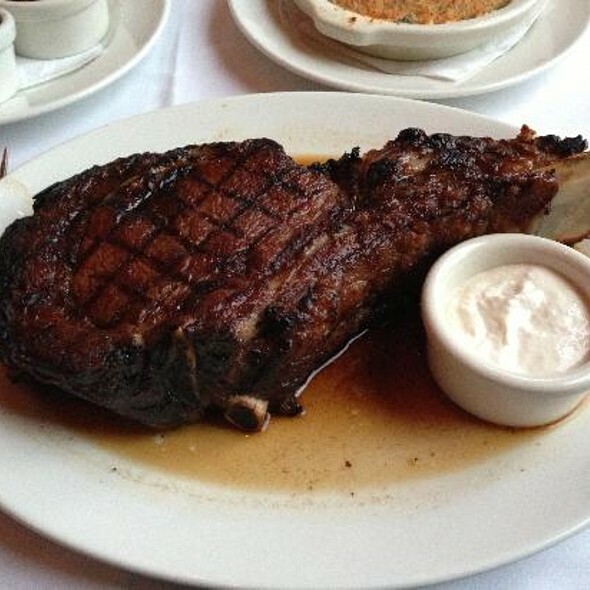 Our steaks were done to perfection and every course was delicious from appetizers to our main entrees. We had no room for dessert which was a pity as I am sure it would have been as excellent as the rest of our meal. 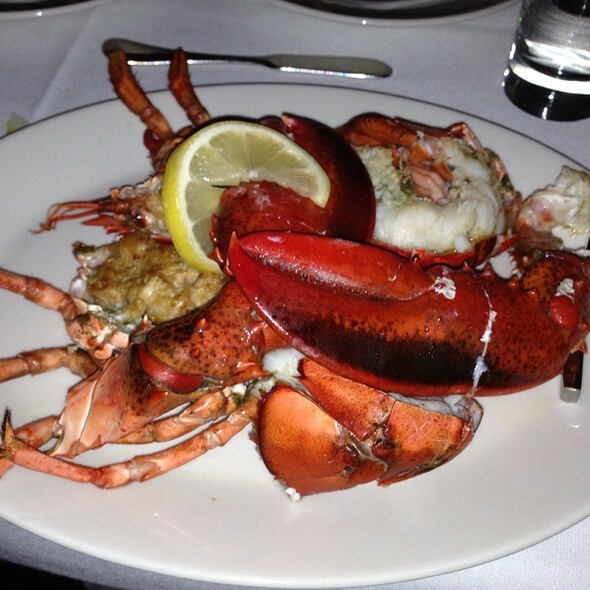 This is truly an excellent restaurant with delicious food and outstanding service. Its expensive for middle class people like me, but we are very happy we went and had a great experience. Always great service and the food is amazing! The "Sunday supper" special is a great deal. Also highly recommend the lobster Mac n cheese! What a nice night out at 801 Chophouse in Leawood. From the beautiful wood decor to the excellent service and the amazing food. Perfection. What an excellent filet and Pinot Noir. They made it special for our anniversary. Highly recommend this classic steak house for special occasion or business lunch. Everything was perfect, the food, service and atmosphere. Food and service was wonderful. Table was near kitchen but noise wasn't too bad. Our birthday occasion somehow was received as anniversary but still nice. It has an excellent choice of food offerings. Chiko gave us excellent service. What a marvelous meal! Top notch in every regard...food was excellent as was service. Definitely recommend. 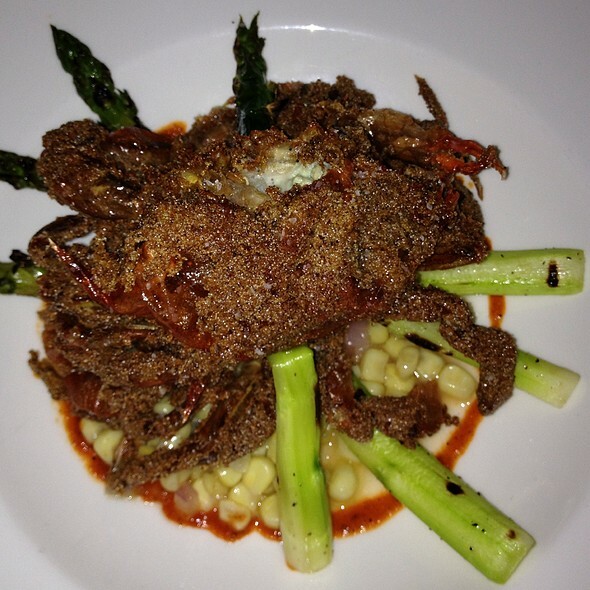 We celebrated our wedding anniversary and thoroughly enjoyed the entire dining experience. Everything we ate was perfectly prepared and our server, Chiko, was the absolute best!! We had excellent service! Ryan was a great help as we navigated the menu for the first time. We had an awesome ribeye, baked potato, and brandy glazed baby carrots. We will be back and we will bring friends! Service was very good. Food overall was good minus some pretty burnt lobster corn dogs and extremely over cooked lobster tail. The shellfish roast was around $70 and I absolutely should have said how chewy, over cooked and disappointingly small the lobster tail was. For that price you should expect perfection. But we had three kids and two babies in tow and I was expecting a meltdown at any point and needed to try to eat and get out of there quickly. We will definitely eat here again and I will speak up if the food isn’t satisfactory. We had Nicholas as our Server and he did a phenomenal job! He did a great job checking in without overdoing it and he knew the menu very well. We had a party of 8 and were able to sit in one of the private booths with a curtain. Overall it was a great experience and we'll be back soon. Always a favorite dining destination. Food is properly prepared as ordered and simply delicious. Additional Fish plates are available too so everyone in our group of four has many choices. 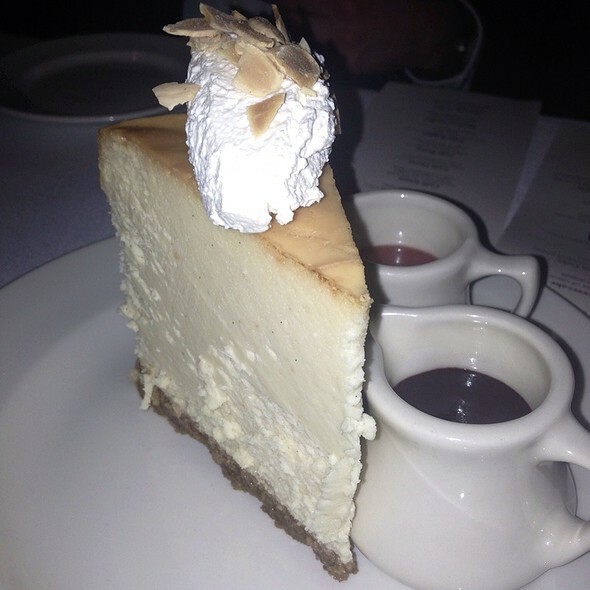 This was our first time at 801 Chophouse, and were were extremely pleased at how wonderful the food and service was. Our server, Robert, was very informative, and helped us navigate through the menu. This will definitely on our favorite's list and plan to return soon! Great food and great service... definitely a place I’d go again!! Great food and great service! Staff was extremely helpful and nice.! Be prepared to spend some bucks. Very expensive. Best for special occasions. We went to the Chop House because I had a gift card. The front room is beautiful, vintage steak house decor. We were seated in the back, which is still nice, but reminds me of a restaurant in Vegas- brightly lit, large room. The booth seating is very comfortable. What stands out about dining here is the service. It is excellent from the hostess to the server who boxed up our leftovers. I order the tuna- which was meh. But, who comes to a steak house for tuna? My sons had the rib eye and the porterhouse which were excellent.